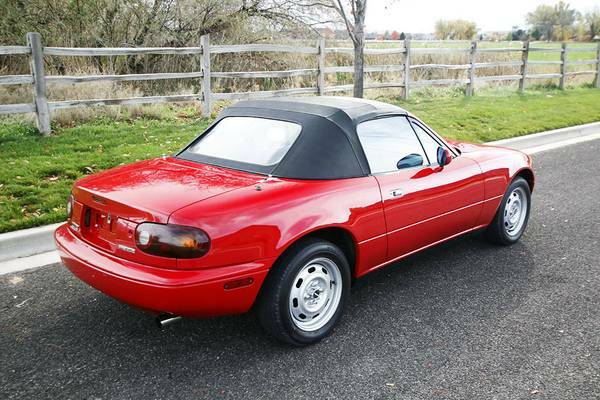 A few months ago we featured a 6k mile creampuff NA MX-5 Miata -- a car that Jesse from Barnfinds picked out of a ranch in Sun Valley and then sold on eBay for $8,100 according to the auction result. However, I don't want to be the guy who says I told you so...but at the time I wrote: Whoever buys this car will have a very nice example of one of the best selling roadsters of all time...but he will be faced with the same conundrum as the current seller -- how do you enjoy a car without racking up the miles? Likely, this story will be continued. Yeah...I told you so. 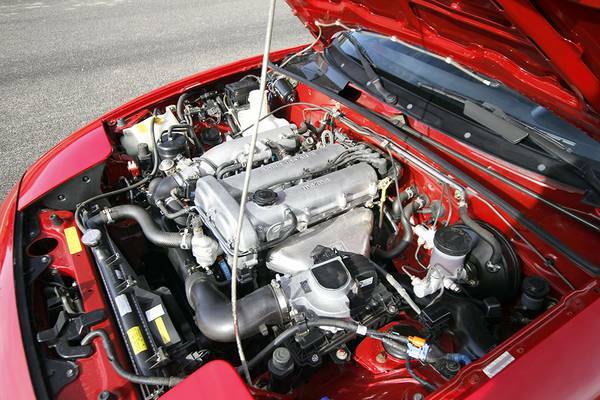 Find this 1990 Mazda MX-5 Miata offered for $15,000 firm via craigslist in Mountain View, CA. Tip from Matthew. 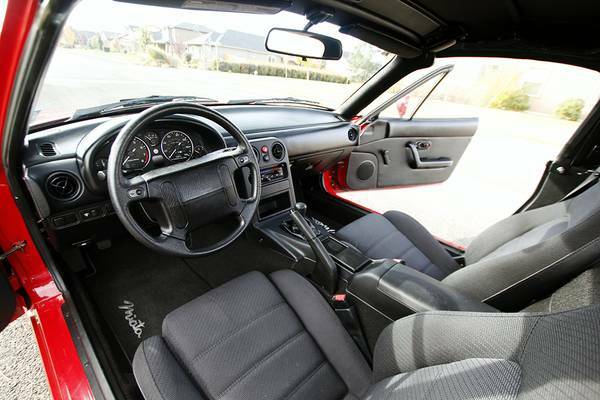 You could buy 3-5 running/decent MX-5s for the price of the previous sale, more for the current asking price...but none of those will have the super low odometer reading. However, you can't very well drive this car -- in 4k miles it'll be a 10k mile MX-5. What's that worth? If this was a 77 Chevette..would we be having this same conversation? Yes. Because a 6k mile Chevette is still worth 5X-10X the average ice-race ready beater. 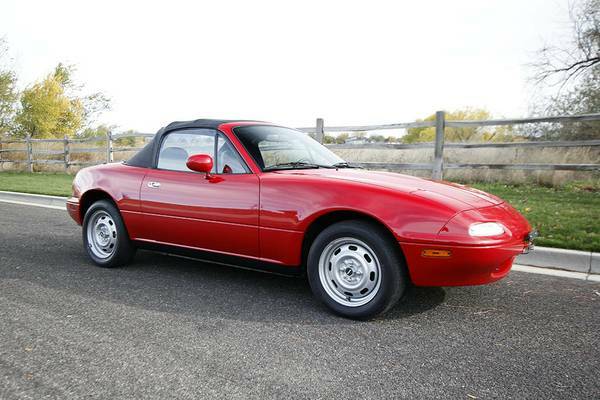 This isn't a Ferrari, but with Mazda close to selling their millionth MX-5 you can buy a sub 5k mile Miata, but it'll cost you $25k for a new ND, so what is the nicest NA worth? Guess we'll find out...because this story is to be continued. NA has always been and still is my personal favorite exterior design iteration. The ND probably drives amazing and is everything anyone could ever want from that car but it's just not as kind on the eyes, imo. Different strokes. The steelies just look so right on this thing. Sweet museum piece but that's just not why the answer is always Miata, is it? This isn't even the 1.8l upgrade is it? 100% profit, good luck.